I decided for my sister-in-law's birthday I would make her some fun, colorful wall art! I opted for bright colors that I knew would compliment one another (and also a neutral, tan base color). The most paint you'll need is white. Lots of LOTS of white paint! I did many layers upon layers (probably 5) until I was happy enough to take the tape off to reveal the herringbone pattern! 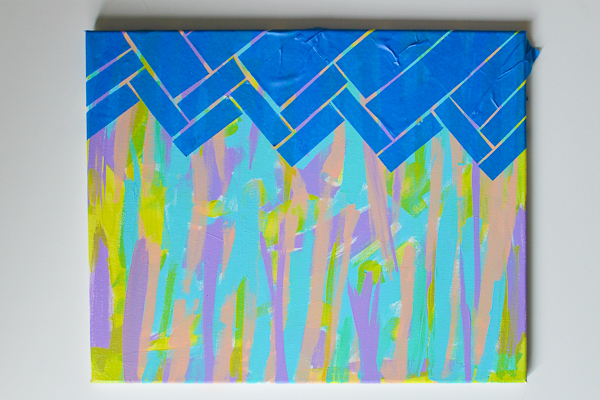 So the first step you'll want to take is you'll want to create the painting that will be used behind the herringbone pattern, and what will pop out in-between color breaks! The key is to be random with it! 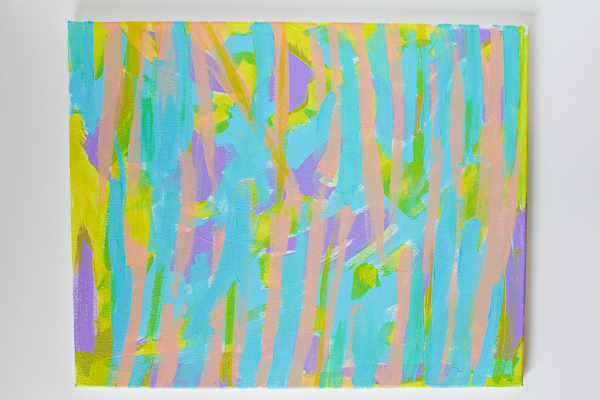 I think this could look really nice with lots of pastel colors as well for even a Spring-themed wall decor piece! What do you think? Once you're happy enough with the pattern you have, lay down your herringbone pattern. Make it easy on yourself! Buy 1 inch tape so you won't have to cut the widths you want! I had 2 inch tape and then had to cut them in half lengthwise before I started cutting width wise! Eeeek! Lots of work I made for myself that could have been solved had I just bought the right size in the first place! As for the herringbone pattern itself, generally it's laid out in this similar block style. I would recommend just googling "herringbone pattern" and finding one that fits your taste! There are different approaches on it, and I think that there is one out there for everyone! Like mine? Feel free to use my sample above for your piece! 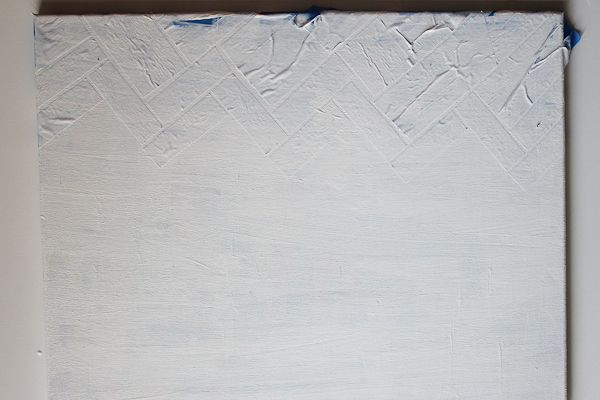 Once you're happy with your herringbone pattern, begin completely smothering your canvas with white paint! It is super important that you get your paint in between the tape pieces, as this is where the herringbone distressed effect is created! Don't worry about getting some paint under the tape, again, we are looking to create a distressed look not perfection! 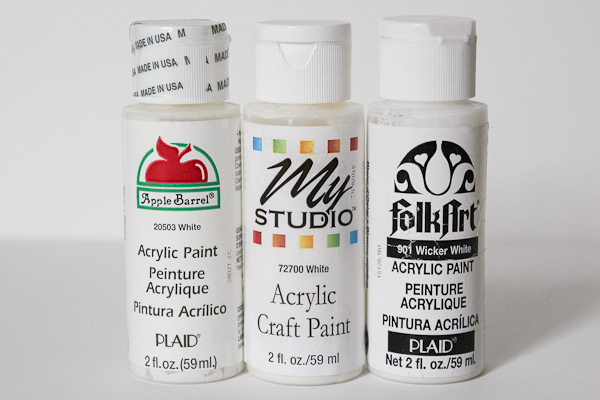 Once you think you have enough white paint, go ahead and throw ANOTHER coat of white paint on there! 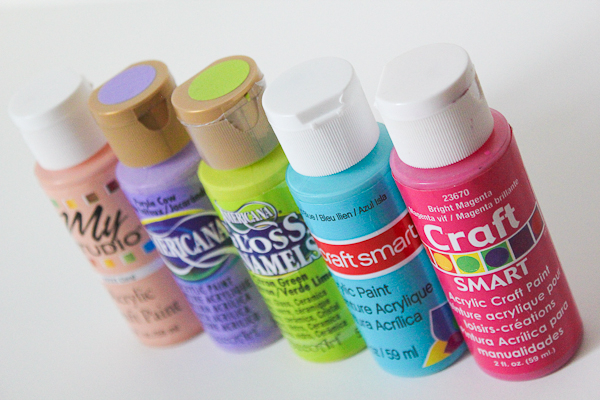 Remove your tape and you're left with a wonderful distressed canvas! 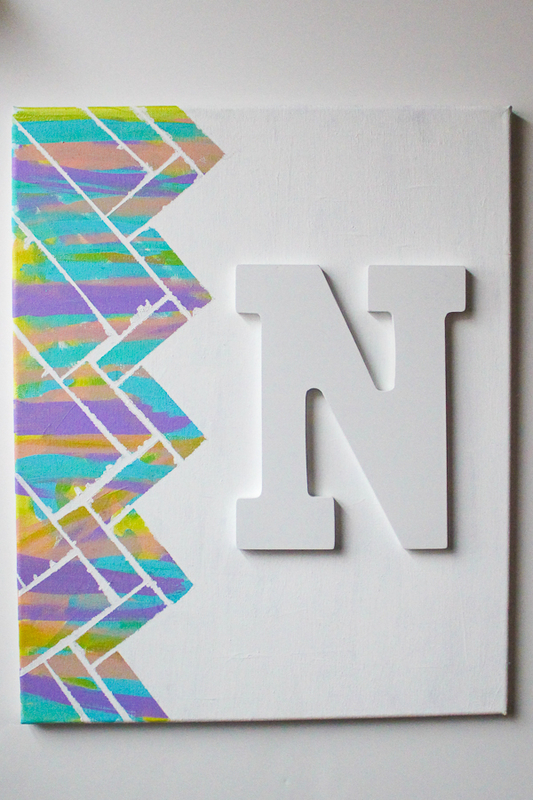 Depending on how much space you've left yourself, you may even have room to add a wooden letter like I did for Nicole's! This is a neat and different idea! Found you through the SNS at Funky Junk... I love this! Love the colors, love the pattern, love it all. Wow! This is really eye-catching...and appears to be so easy thanks to your tutorial. Definitely pinning and hope to try! I'm so glad that I'm following you! This is amazing. Thank you so much for sharing your awesome work! Wow, I love the way that looks! Very fun and creative, thanks for sharing at The Fun In Functional! That canvas looks great! Lovely clear tutorial too! 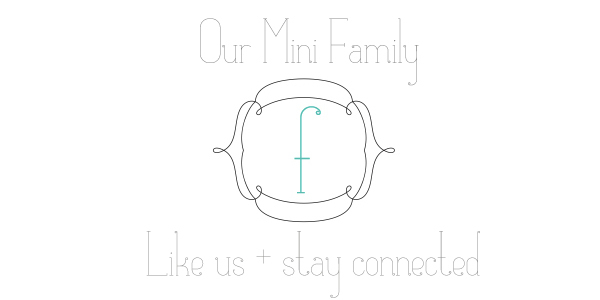 Thanks so much for sharing this creative post on Simple & Sweet Fridays.Love your design! Thanks for linking up. You're being featured on Wednesday Whatsits!